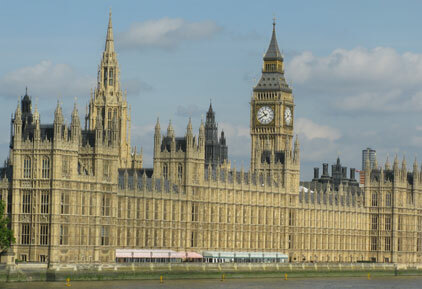 A Commons committee has called on the Government to scrap its current plans to introduce a statutory register of lobbyists, stating it is 'not fit for purpose'. The political and constitutional reform committee has today published a report pouring scorn on the Government’s plans, which exclude in-house lobbyists. The committee of MPs stated that the consultation paper is ‘lacking in clear intent’, and ‘only scratches the surface’ when it comes to tackling public concern about undue access and influence over policy making. The committee has suggested the Government replace the current proposals for a statutory register with a system of ‘medium regulation’ that would include all those who lobby professionally and require everyone to disclose the issues on which they are lobbying Government. The committee called on the Government to improve its own transparency in its dealings with lobbyists. It recommended the Government publishes information about ministerial meetings no more than a month after a meeting occurs, adding that departments currently take up to eight months to publish meeting details. There were also recommendations for the Government to improve the level of detail in meeting disclosures, so that the actual topic of a meeting is disclosed rather than terms like ‘general discussion’. The Government, the committee suggested, should also standardise the format of meeting data so that it can be published on a single website. The Cabinet Office responded by stating that it will consider the committee’s recommendations, adding: ‘The Government is going much further on transparency than previous governments, publishing a wider range of information, more often and in a more consistent format. APPC chair Michael Burrell supported the call for the inclusion of in-house lobbyists, while Emily Wallace, PRCA public affairs group chairman, praised the committee for recognising that the Government proposals ‘set out to solve a problem that doesn’t really exist’. CIPR chief executive Jane Wilson added that she hoped the Government would give serious consideration to the committee's suggestion of a 'hybrid-model' code of conduct that supports statutory registration, which could be overseen in conjunction with a membership body. Alliance for Lobbying Transparency’s Tamasin Cave welcomed the report, but called for the Government to go further by recording how much is being spent on lobbying. ‘When we learn that the financial services sector has a fighting fund of nearly £100m a year, knowing lobbying budgets matters,’ said Cave, referring to this week’s Bureau of Investigative Journalism expose. The Government will publish the findings of its consultation before Parliament rises for the summer. A white paper and draft bill are expected in spring 2013.